Well, call me crazy, but even with a 3 month old baby in tow I've decided to jump in on the One Room Challenge as a guest participant. Call me even CRAZIER, but I've decided to complete the One Room Challenge x 2!!! The reasons really are that I have the "shell" of these rooms ready to go - walls painted/papered, flooring and lighting in. I'm on to the fun décor part and honestly I have to get these rooms done ASAP for my family's sanity. And this is where we are literally yesterday (snapped with my iPhone! ), it's become a dumping ground because it's an empty room, NOT good. 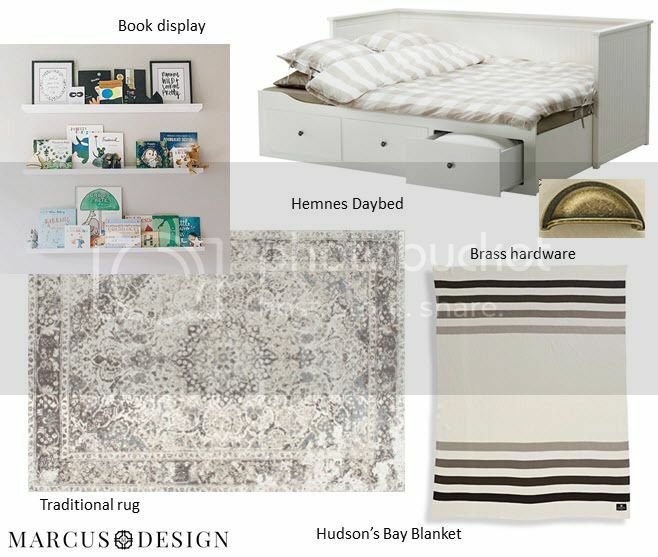 Be sure to check out my next post for my second One Room Challenge space! And head to Calling it Home for a look at all the other guest participants. Yay! Can't wait to follow along Nancy. Hopefully baby Marcus is still giving you good nap time to get these TWO projects done ;) I'm tackling the ORC too though realistically I'll get 1/2 done to your two. Let the fun begin! Love your plans and I can't wait to see what you do with the campaign chest! My new daughter-in-law is expecting their first child so we are right in the midst of a Nursery creation as we speak...lots to do, but so much fun. I'm doing the ORC as well for the kick in the pants factor! We're in a very similar situation having moved into an almost renovated house with our 4 week old son Louis. He's now 4 1/2 months old and I'm still chipping away at his nursery not to mention the rest of the house & garden! 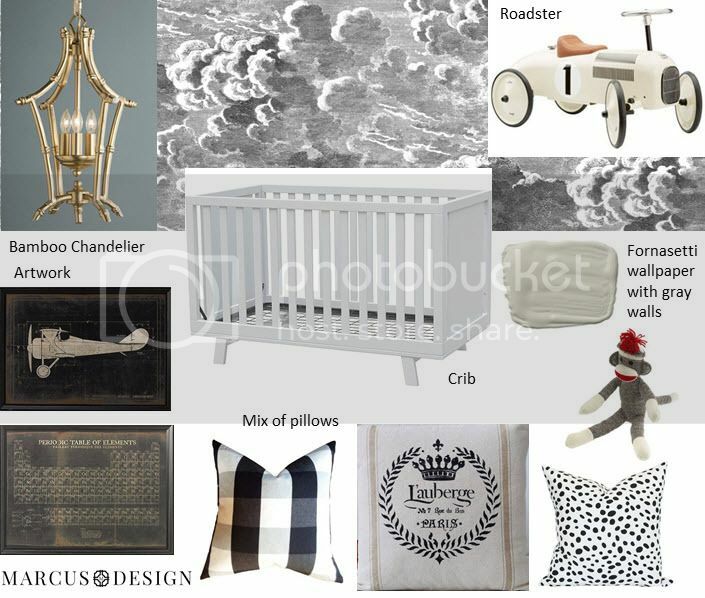 I LOVE your plan for baby's nursery & one of my fave wallpapers! Look forward to seeing your weekly progress. Duh! Now I get it. You are doing the nursery too. That wallpaper is so, so, so perfect. Love that choice. jealous of that dresser! amazing find! 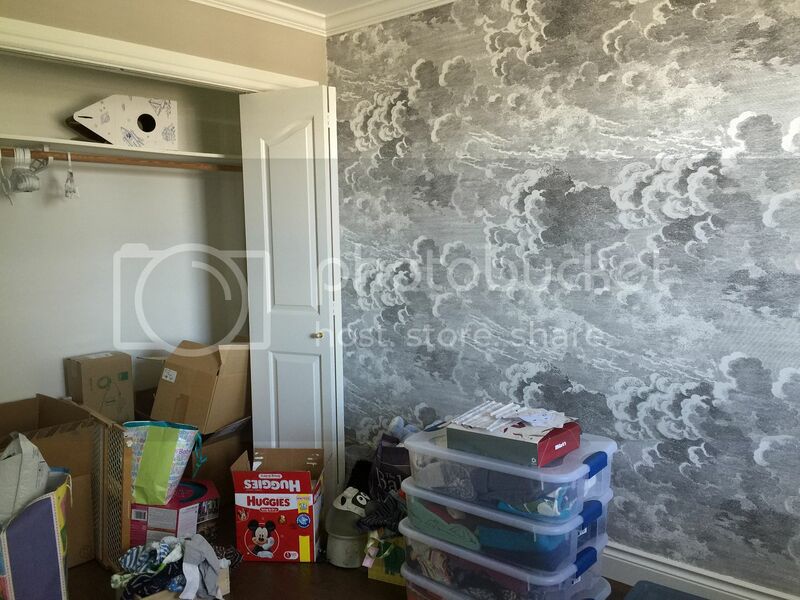 can't wait to see how it all turns out - already love the wallpaper! This is off to a fantastic start, and almost done? Love the wallpaper and dresser. That wallpaper is perfection so you're obviously off to a great start. Can't wait to follow along! OMG. 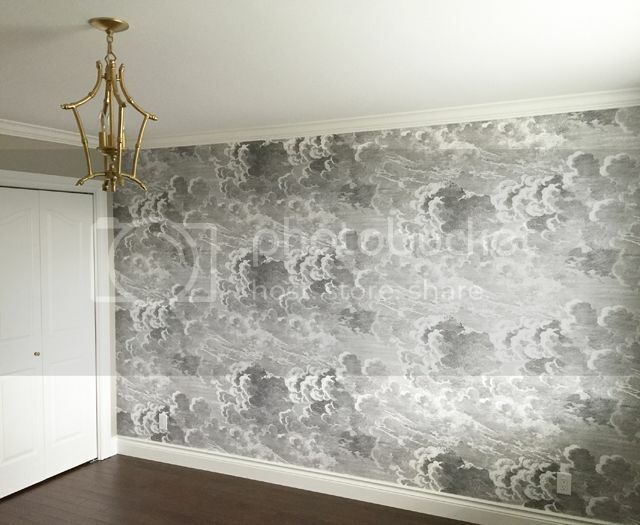 the wallpaper...perfect for a nursery, or for me!! You are about to blow us all away. 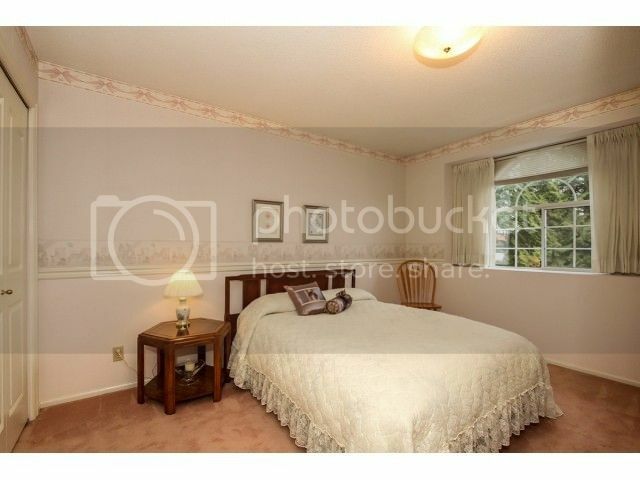 Just look at that wallpaper and dresser. I am looking forward to following along. This is going to be good! Your baby will have the coolest room on the block! Love the plan. I can't believe you're taking on TWO rooms for the ORC, you are a rockstar!!! Looks fantastic so far. I just ordered that bamboo lantern for our powder room and was dying to see a photo of it installed in a room. It looks great. 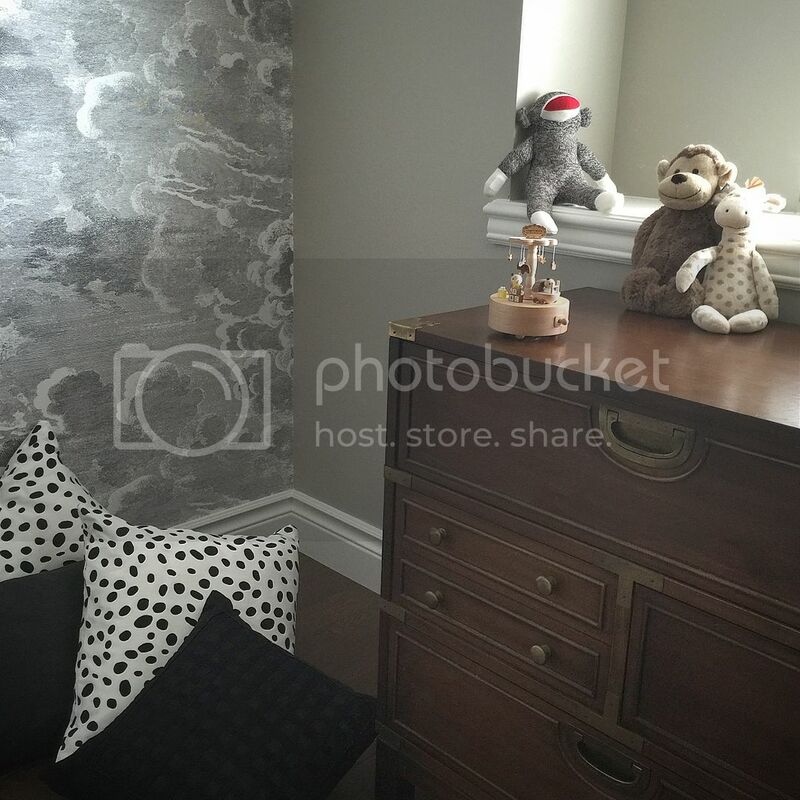 My daughter's nursery also has a pile of plastic bins in the corner and she will be here in a few weeks!